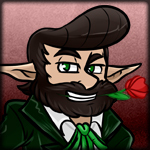 So, let me preface this by saying this is not Urealms in the traditional sense. I have been playing this campaign on Roll20 (Called Sylvar), since 2015 with a group of good friends, but this last year has caused some of them to drop off because of their responsibilities. We play every Sunday from Noon CST to between 4-6 each week. Because of military, we sometimes skip certain weeks, but I notify them the week beforehand. We use a d20 and a d4 for combat, and does focus alot on Roleplay, we have our own Google Doc dedicated to rules, and it is very streamlined. If you want to join, please feel free to contact me. P.S. We use Discord as our main line of communication, but as well have a groupme, but do not feel obligated to join until a few meetings have gone by.